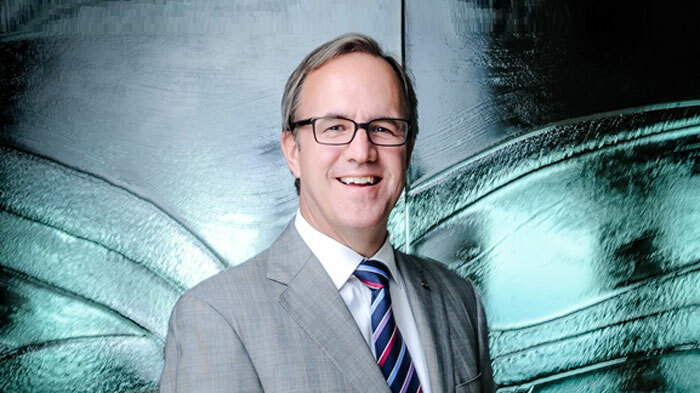 Douglas M. Baker, Jr., Ecolab chairman and chief executive officer, photo courtesy of Ecolab. Ecolab Inc. said it plans to spin off its Upstream Energy businesses as a stand-alone publicly-traded company. Ecolab plans to retain the Downstream business, which serves refineries and petrochemical plants. The Upstream Energy business currently operates within Ecolab’s Energy segment and consists of the Oil Field Chemicals production business and the WellChem drilling and well completion chemistry business. The separation transaction is expected to be a tax-free spin-off to U.S. shareholders for U.S. federal income tax purposes. Upon completion of the spin-off, the Upstream Energy business, with 2018 sales of approximately USD2.4 billion, will be a market-leading pure-play global provider of oil and gas production, drilling, and completion product and service solutions, serving the flow maximization and asset protection needs of customers for onshore and offshore activity in even the most challenging of environments. The move splits off parts of a business formed when Ecolab bought Nalco in 2011 for USD8.3 billion and Champion Technologies in 2013 for USD2.3 billion. “The proposed spin-off transaction will create two best-in-class stand-alone companies with distinct business models and increased market focus,” said Douglas M. Baker, Jr., Ecolab chairman and chief executive officer. “Upstream Energy is an excellent business, but one with a business model that has become increasingly different from our other Ecolab businesses. As unconventional onshore has grown, our two upstream businesses have become more aligned and appropriately evolved into more specialty chemical type businesses which require increasingly different operating disciplines and expertise,” said Baker. “The spin-off creates a new company singularly focused on the upstream oil and gas markets. As a stand-alone public company, we believe the business will be a more focused and attractive pure play for its customer and investor base given its strong value proposition, ability to pursue a focused energy services strategy and ability to deliver a strong financial performance. Ecolab anticipates that the transaction will be in the form of a distribution to Ecolab shareholders of 100% of the stock of Upstream Energy, as a new independent publicly-traded company, which is expected to be tax-free to U.S. shareholders for U.S. federal income tax purposes. Ecolab (ECL) is the global leader in water, hygiene and energy technologies and services that protect people and vital resources. With annual sales of USD14 billion and 48,000 associates, Ecolab delivers comprehensive solutions, data-driven insights and on-site service to promote safe food, maintain clean environments, optimize water and energy use, and improve operational efficiencies for customers in the food, healthcare, energy, hospitality and industrial markets in more than 170 countries around the world.